Draft: 2002, St. Louis Cardinals, 34th rd. November 7, 2015 2B Mike McCoy elected free agency. March 17, 2015 OF Mike McCoy assigned to San Diego Padres. February 23, 2015 San Diego Padres signed free agent OF Mike McCoy to a minor league contract. February 23, 2015 2B Mike McCoy assigned to El Paso Chihuahuas. 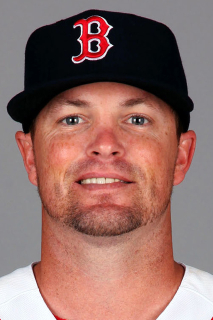 September 11, 2014 Mike McCoy assigned to Pawtucket Red Sox from Portland Sea Dogs. September 9, 2014 OF Mike McCoy assigned to Portland Sea Dogs from Pawtucket Red Sox. 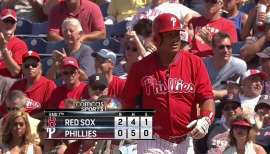 September 5, 2014 OF Mike McCoy assigned to Pawtucket Red Sox from Greenville Drive. September 2, 2014 SS Mike McCoy assigned to Greenville Drive from Pawtucket Red Sox. August 29, 2014 Pawtucket Red Sox activated SS Mike McCoy from the 7-day disabled list. April 1, 2014 SS Mike McCoy assigned to Pawtucket Red Sox. November 8, 2013 Boston Red Sox signed free agent 2B Mike McCoy to a minor league contract and invited him to spring training. November 4, 2013 2B Mike McCoy elected free agency. November 30, 2012 Toronto Blue Jays sent 2B Mike McCoy outright to Buffalo Bisons. November 20, 2012 Toronto Blue Jays designated Mike McCoy for assignment. August 11, 2012 Toronto Blue Jays recalled 2B Mike McCoy from Las Vegas 51s. June 25, 2012 Toronto Blue Jays optioned Mike McCoy to Las Vegas 51s. May 29, 2012 Toronto Blue Jays recalled Mike McCoy from Las Vegas 51s. March 28, 2012 Toronto Blue Jays optioned Mike McCoy to Las Vegas 51s. August 15, 2011 Toronto Blue Jays recalled Mike McCoy from Las Vegas 51s. July 28, 2011 Toronto Blue Jays optioned Mike McCoy to Las Vegas 51s. July 3, 2011 Toronto Blue Jays recalled Mike McCoy from Las Vegas 51s. June 23, 2011 Toronto Blue Jays optioned Mike McCoy to Las Vegas 51s. May 28, 2011 Toronto Blue Jays recalled Mike McCoy from Las Vegas 51s. May 23, 2011 Toronto Blue Jays optioned Mike McCoy to Las Vegas 51s. May 20, 2011 Toronto Blue Jays recalled Mike McCoy from Las Vegas 51s. May 10, 2011 Mike McCoy roster status changed by Las Vegas 51s. May 8, 2011 Toronto Blue Jays optioned 2B Mike McCoy to Las Vegas 51s. April 23, 2011 Toronto Blue Jays recalled Mike McCoy from Las Vegas 51s. April 18, 2011 Toronto Blue Jays optioned Mike McCoy to Las Vegas 51s. April 15, 2011 Toronto Blue Jays recalled Mike McCoy from Las Vegas 51s. April 10, 2011 Toronto Blue Jays optioned Mike McCoy to Las Vegas 51s. August 29, 2010 Toronto Blue Jays recalled Mike McCoy from Las Vegas 51s. July 28, 2010 Toronto Blue Jays optioned Mike McCoy to Las Vegas 51s. July 22, 2010 Toronto Blue Jays recalled Mike McCoy from Las Vegas 51s. June 21, 2010 Mike McCoy roster status changed by Las Vegas 51s. June 18, 2010 Toronto Blue Jays optioned SS Mike McCoy to Las Vegas 51s. November 9, 2009 Toronto Blue Jays claimed Mike McCoy off waivers from Colorado Rockies. October 19, 2009 Mike McCoy roster status changed by Colorado Rockies. October 6, 2009 SS Mike McCoy assigned to Tomateros de Culiacan. October 6, 2009 Colorado Rockies reassigned SS Mike McCoy to the minor leagues. September 8, 2009 Colorado Rockies purchased SS Mike McCoy from Colorado Springs Sky Sox.